Gulliver’s “mom” was able to go to Salinas classrooms and read to the class and answer questions on Gulliver and his travels around the time of America Reads week last spring. 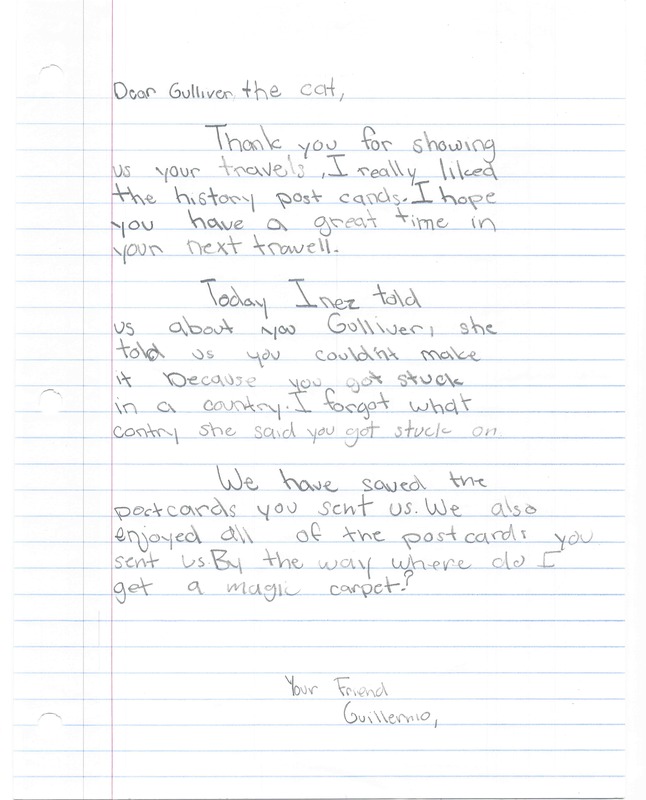 It was interesting that eight year old children were happy to accept a cat traveling to exotic places, but nine/ten year old children questioned the concept and wanted to know who was actually writing the cards. 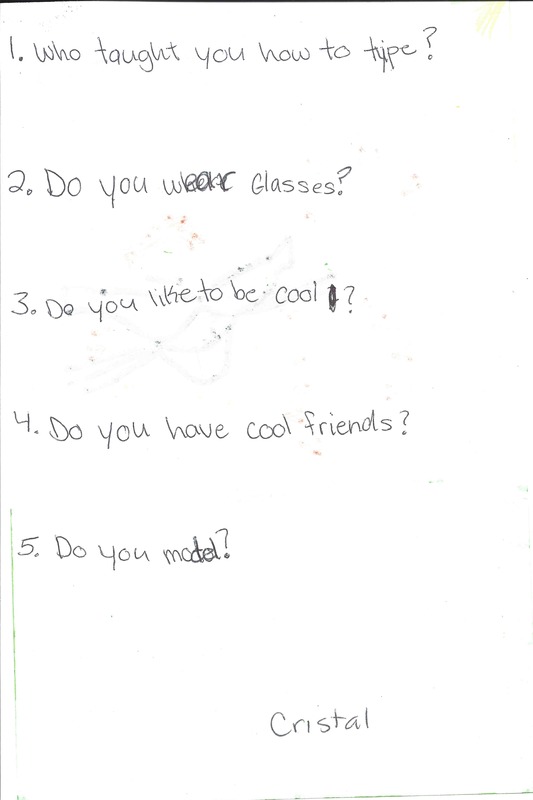 At the end of the school year, several classes sent messages to Gulliver. Since the age groups varied, some came in the form of pictures, some real letters and a few wrote short stories in booklet form. The exchange of postcards between classes was not as popular last year, so this was a good way of having the students use their writing skills. 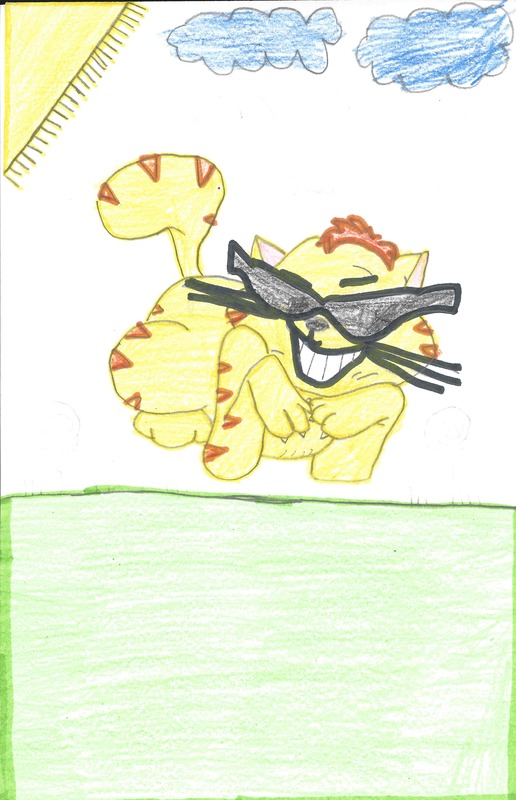 The best part was the creativity of the students – sometimes it is easier to write to a cat than an unknown person.